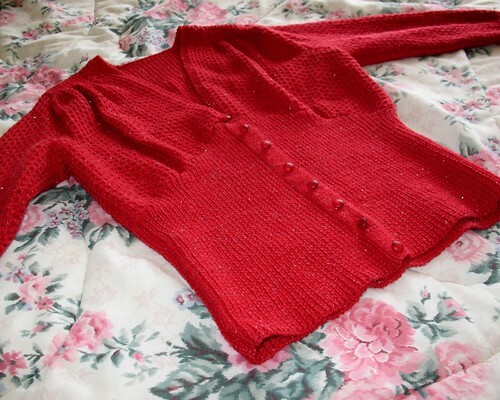 Lilacs & Lace: How many red buttons are hiding in my apartment? 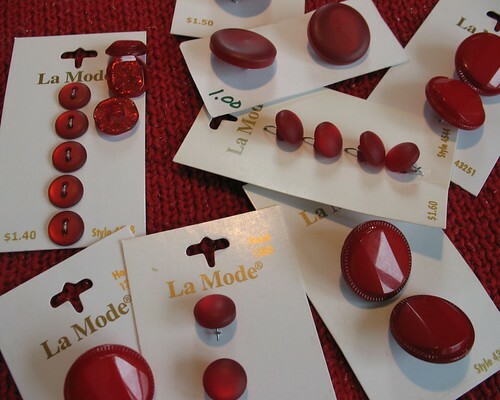 It turns out that I have more red buttons stashed away than I thought. 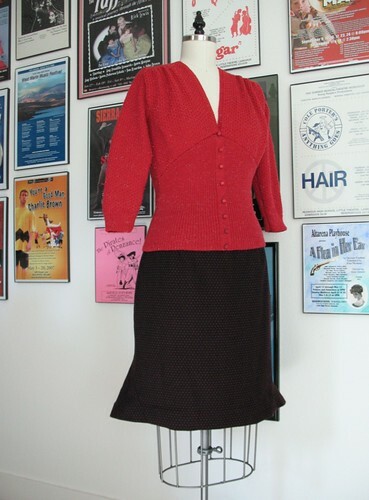 And it would seem that I have become obsessed with the color red. Four of the six projects started in 2014 involve the color. This was certainly not my intention, but having a theme is a lovely surprise! 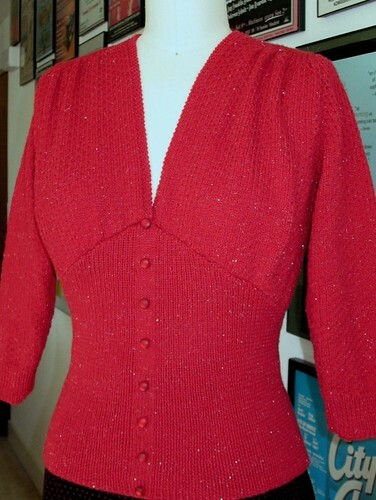 I know you've shown it before but that's such a lovely sweater! Ah, the buttons made all the difference!! Lovely! 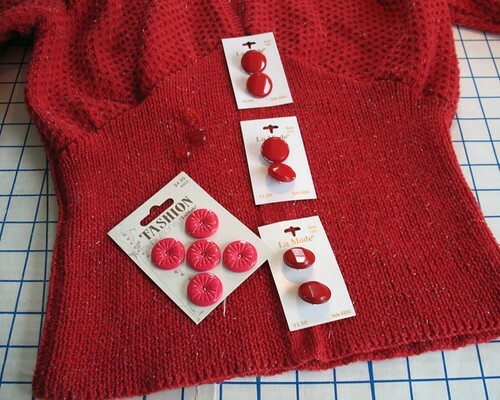 Gorgeous sweater and choice of buttons. I think fairly small sized ones, as you used, were the way to go here for sure.